Today is my last day at my current company. I wanted to take a moment and create a list of all the great SharePoint tools I use here – in case I need them in the future. I really recommend these tools to anyone doing WSS 3.0 development. 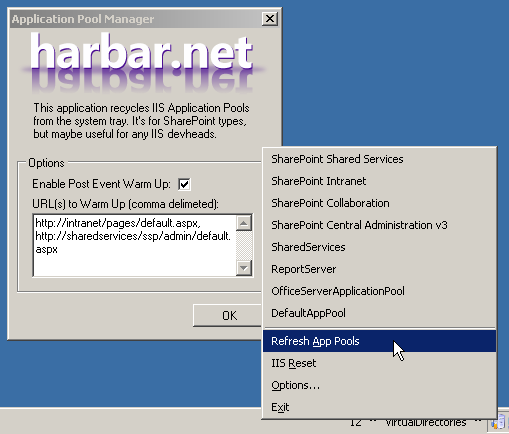 Application Pool Manager – System tray tool for restarting individual application pools. Debugging Tools for Windows – My main use for this is to store .PDB files in a symbol server. This makes debugging in SharePoint much easier. SharePoint Best Practices Analyzer – This is great for checking your SharePoint installation and configuration. Like all the other “practice analyzers” that Microsoft has put out. 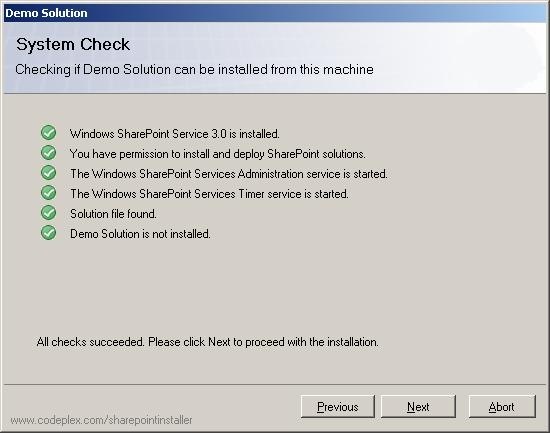 SharePoint Solution Installer – This is the best way to deploy a solution to a client. No command line nonsense for your client to worry about. 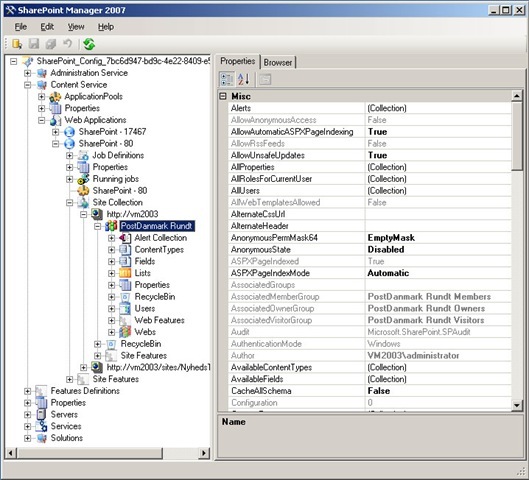 SharePoint Manager 2007 – GUI to dig into the SharePoint DOM. Makes it easy to quickly find and even set properties of your farm. StsAdmWin – GUI for discovering available stsadm commands. Even finds custom commands! Great for beginners. Visual Studio Extensions – Not completely necessary in my opinion, but nice to have. WSPBuilder – Invaluable! Builds your wsp files for you – no more messing with ddf and manifest files! WSS SDK – Who doesn’t need documentation? This is everything you want to know about WSS.